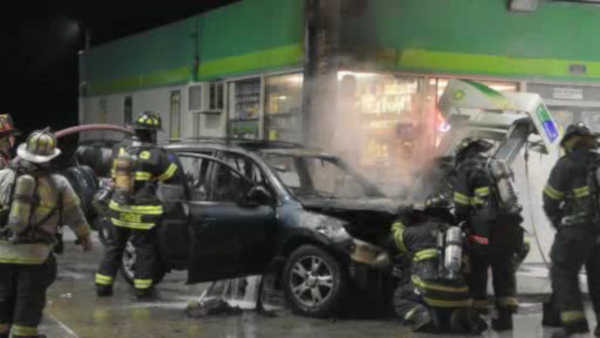 WYANDANCH, Long Island (WABC) -- A driver crashed into a fuel pump at a gas station on Long Island, sparking a raging fire. Police say there was a fight outside a BP gas station in Wyandanch overnight. During the altercation, someone got into an SUV and rammed into a gas pump. Police are investigating how many people were involved. Police are also looking into whether bullet casings found across the street are connected to the incident.